The odds of Murphy’s Law are somewhat debatable but there’s no denying the fact that anything that can go wrong will most likely go wrong when you least expect and when you are least prepared for it to go wrong. Owning a home comes with many responsibilities to in terms of maintenance; yet, it is often hard to spot when a home system or appliance will suddenly malfunction or breakdown. A home protection package should be considered an important part of home ownership because it provides you with succor when your home systems and appliances become faulty. 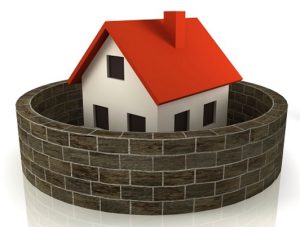 This piece provides comprehensive insight into why you need total home protection and how much money you can expect to save over the course of time. What does it cost to purchase home warranty? The cost of a home warranty coverage is usually a few hundred dollars that you pay annually or in installments if accepted by the provider. The specific cost of your plan tends to vary based on the property type and the depth of coverage that you require. However, the age of the property or the square footage of the property won’t have much of an effect on the cost of your premium. However, you should be prepared to pay a service call charge for every time you file a claim and there’s need to send a contractor over to your house. Home warranty coverage is particularly valuable to first-time homebuyers who may not have experience in maintaining a home and dealing with contractors. When you were renting before you bought your house, you would have depended on the property owner or manager to take of necessary repairs – all you needed to do was to inform them about the malfunctioning system. Interestingly, as the homeowner, you’ll need to go through the stress of finding and hiring contractors, checking on the quality of their work, paying them, and filing claims with your insurance (where applicable) when your home systems malfunction. However, if you have a total home protection plan, all you need to do is to call or email the warranty provider about the malfunctioning system and they’ll take care of hiring and paying contactors. A homeowner warranty is also a great idea because it protects you against unexpected financial expenses that could put a strain on your finances. For instance, the average cost to replace a dryer will set you back between $100 and $400, washing machine repairs will cost you between $120 and $500, and simple icemaker issues with your fridge could cost you between $250 and $330. Of course, you can expect to spend exponentially more if any of your home systems and appliances needs to be replaced. In essence, you might be forced to go over your monthly budgets or strike out some other important expenses from your budget to afford the cost of repair or replacements. However, if you have an active homeowner’s insurance coverage, you won’t need to worry about the cost of the replacement or repair of such appliances. In addition, to the fact that a home warranty coverage protects you from unexpected financial expenditures, the warranty can also save you considerable time and energy that you would have expended in dealing with contractors on your own.